We’ve lived in our house for nine years now, so I was at first a little surprised when, a few weeks ago, my wife told me that she wanted to learn how to cut the lawn. 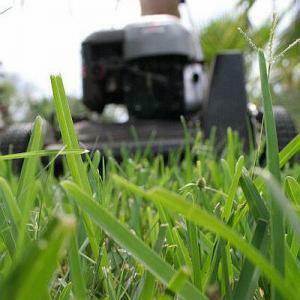 There are very few hard and fast responsibilities on who does what in our house, but taking care of the lawn was one of few that existed, and I had no problem with that. At first I was bewildered, though I quickly came to a conclusion about why she was asking: Her new Fitbit. I’ve had a Fitbit for a while now, but my wife recently got one just several months back. While we’re not cutthroat about it, there is a little bit of competitiveness between us as to who can get the most steps daily and over a running seven day period, both of which are readily available on the app. Cutting the lawn adds about 7,000 steps, so her cutting it instead of me could swing the difference a full 14,000 steps in her favor. When I confronted her about her motivation, her quick blush told me that I had hit the nail on the head as to why. So, I pretty much just ignored the request. It helps that I actually enjoy cutting the grass. It’s one of the few chores that really doesn’t seem like a chore. It’s good exercise. It lets me listen to music. And after I’m done you can see the difference. She asked a few more times, and each time I sort of deflected it with different reasons. I pointed out how busy she was or how I was already dressed to go out and do it, or some other way of getting to go outside and just keep doing it myself. It all worked until she finally came up with…. One day I was heading out to go cut the grass and she asked me again if I’d teach her. I gave her my standard chuckle and comment about Fitbit steps when she stopped me with a new angle. She commented that I should teach her because it gives us more options in case I couldn’t do it or if we were restricted on time. She even used examples of when we had to do it before a vacation and rain had stopped us or made it where I had to do it at a really weird time (I think once I was outside around 7:45am getting started). This made sense. It was, in essence, the perfect pitch! I realized that she had me. So, I told her to go get shoes and socks on and an hour or so later, she had cut the grass. I even had her fill up the mower with gas before she got started. After all, preparation is everything! It reminded me that, sometimes, you can’t just sell the idea that you have and point out how it will benefit you, but you have to point out how it will help the person you’re pitching it to. Once she did this, she had me! So, because of the perfect pitch, my wife knows how to cut the grass. Some might wonder if I’m worried that she’ll now start doing it regularly and take control of the Fitbit steps. The answer to that is, of course, no. Readers, have you ever failed to convince someone of an idea until you changed your strategy? Have you ever tried to highlight how it would be of benefit to the other party? Let me know in the comments below. I cut the grass in our house. Lately though it has been just too hot with too little rain and lawn is brown except for the weeds. I need to have a talk with your wife. I wish I could figure out an angle to convince my husband to get rid of the almost 1 year’s worth of newspapers piling up in the corner. They will be gone by December as they are stacked where we usually put the Christmas tree. I guess it is a matter of figuring out what is most important to him and work at it from that angle. It’s been hot here (90s) but my wife went out and did it this morning, as we won’t really have another chance before the weekend (and we’re going away). So the system does work! 😀 That is a classically funny marital exchange! In the FitBit competition, you may have more to worry about: if she’s shorter than you, or if her legs are shorter than yours, then she’ll rack up MORE than 7,000 steps a-mowin’ the lawn. And…how many steps will she accrue while she’s searching for the gas can? Seriously, though: this is why I’m SO glad I’m not married or living together anymore. SDXB, especially, was like that: every single stupid thing I wanted to do turned into a long, involved dickering match. Even when I wanted to arrange repairs or maintenance for MY house that I OWNED and he had exactly 0% percent interest in, I had to argue until I was blue in the face. To have to launch into a persuasive pitch so that you can mow the lawn? Really? Could it be she blushed because she felt annoyed or frustrated, not because she was caught in the act of trying to win some petty competition? Great example! I always try to point out how I can help clients when I ask for a raise or send off a new pitch. I am using Fitbit and it pushes me to do more each day! It helps me become healthier, Money Beagle. Ha! That’s an awesome story. Your wife is clever indeed. I’ve never used a lawn mower myself. Grass is hard to grow in CA if you don’t regularly water it because of the endless drought. It’s a good way to get exercise based on your step counts! I got in a lot of steps last week playing Pokemon Go, lol. But I’ve gotten rather bored with it over the last few days. I am not a natural born negotiator, so this is something I need to develop. At best, I have made a pitch that emphasized why something is for the general good (like the good of staff and/or students at my school) – so by extension it’s good for the person in authority (usually the principal). Is that close enough? I’m glad your wife is mowing the lawn! She’s a better woman than I am. Don’t hide that gas can! LOL, no I won’t. She’s actually done it more than I have over the last few weeks and I haven’t really missed it!